Fish of the family polypteridae have the characteristics of ancient fish, with lobed fins and a hard coating on their scales. Really large specimens can reach about 1.2 m in length, but most species are below 30 cm. Some think it was part of the missing link between fish and amphibians helping to show how fish fins had evolved to become paired limbs. 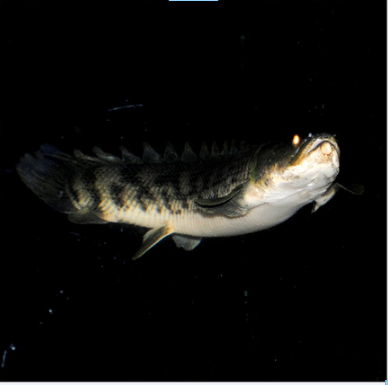 Polypterus also possess a lung - like structure, which enables them to take gulps of air from the surface in water with low oxygen content. ​The BIA is the only known complete collection of all identified species of the polypterus family.